Last year, we registered increased efforts by Apple to push its devices into the enterprise space. The indications that iPhones and the iPad are fit for enterprise use also outside the office has been confirmed by the growing number of requests for deploying Sygic Truck Navigation on iOS-based devices. We are mirroring this trend by launching our most popular navigation app for truckers, Sygic Truck Navigation, on the iOS platform. 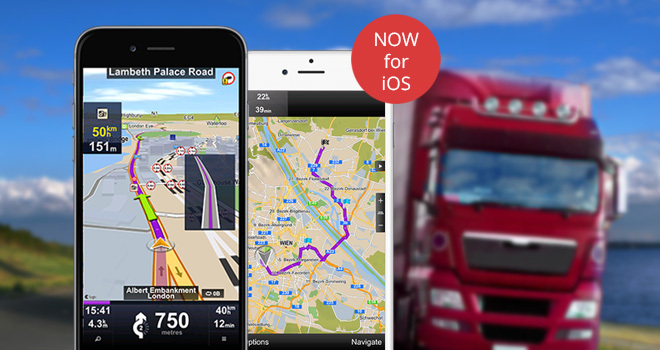 As of today, Sygic Truck Navigation is available on the App Store for download on both iPhones and iPads. Truckers using Apple devices can now rely on the world’s most advanced truck routing by selecting the vehicle type, setting the dimensions and weight of the vehicle as well as additional information about the transported cargo. Sygic Truck Navigation will then automatically avoid all unsuitable roads and bridges for the particular truck, delivery van or bus, and guide drivers on detailed Sygic 3D maps. The iOS release comes with all the recently introduced features for Sygic Truck Navigation on Android, version 13.6.0., including the following new driving safety functionalities: a preferred right turn routing option to avoid risky left turns against incoming traffic, and a “head-up display” that projects routes from the smartphone or tablet directly onto the windshield, helping to keep drivers’ eyes on the road. The mapping system, provided by HERE, operates in offline mode with all maps stored on the device. This is indispensable for journeys in remote areas with little data coverage. What’s more is that the Sygic Truck Navigation app shares points of interest, parking places, and gas stations suitable for heavy trucks or buses. To guarantee the most accurate prediction of the estimated time of arrival, Sygic uses maps with Speed profiles that contain information about historical data measurements of traffic intensity for different times of day. 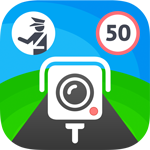 The app also offers optional paid add-ons such as live traffic information, speed camera traps, and turn-by-turn voice guidance. System integrators easily integrate Sygic Truck Navigation on iOS devices with 3rd party enterprise solutions using a URL scheme. The documentation for the Custom URL scheme for iOS is available here. “We believe Sygic’s app for truckers and bus drivers is the safest and most complete SatNav solution available. We’re extremely pleased to finally be able to offer the service on the iPhone, and we’re looking forward to getting even more drivers on the road with Sygic.” added Štencl. Sygic Truck Navigation costs $139 in North America and €129 in Europe, and comes with a 14 day free trial.